Today Blowfish Studios has announced that the new retro platformer by developer Daniel A. Ramirez, ‘Whipseey and the Lost Atlas’ will be coming to PC, Nintendo Switch, PS4 and Xbox One in Q3 of this year. 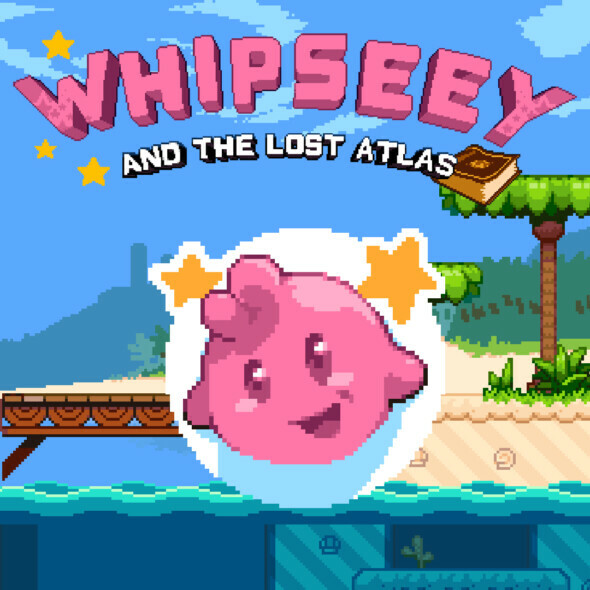 In Whipseey and the Lost Atlas, You control a young boy named Drew who has been transported to a strange land and transformed into a pink whip-wielding titular hero after finding a magical book. With the help of Princess Allyssa, Drew as Whipseey embarks on a quest to recover magical orbs with the power to return him home from the magical world of Whipseeyland. You can swing from grapple points and hover over to platforms, collect gems, fight bosses and explore the pixel-art landscapes created by Super Crate Box and artist Roy Nathan de Groot. An announcement trailer has also been released for this game. Check it out below, or on our own YouTube channel.